QUEZON CITY--Mike Harris was a dominating figure all throughout the PBA Governors' Cup. Because of that he was named the Best Import of the season-ending conference on Wednesday night at the Smart Araneta Coliseum. 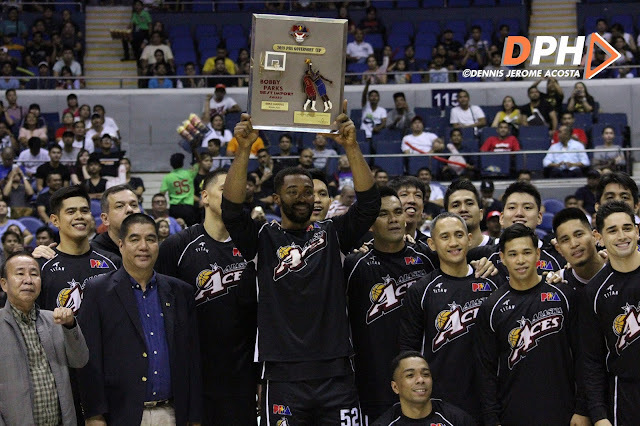 The Alaska reinforcement edged Magnolia's Romeo Travis and long-time contenders Justin Brownlee of Ginebra and Allen Durham of Meralco for the said plum after ruling the stats, the media votes, and the vote of the PBA commissioner's office. Harris got 540 statistical points, 456 media points on 31 first place votes, 150 points from the league, and 63 player points for a total of 1,209, nearly 300 points clear of Travis. Travis, who actually won the player votes with 88 points on 16 first place votes, got 914 in total. Brownlee came in third with 679 points, while Durham, who won the last two Best Import awards for the Governors' Cup, finished fourth with 541.